What Makes for a Reliable Junk Removal Company in Vancouver? Nobody wants to keep their trash lying around for days. Naturally, you want your junk removers to come and collect your junk as fast as possible so that you can carry on with your everyday activities. Luckily, junk removal in Vancouver is fast and efficient. All you have to do is make a short call and you can get same day service with no time wasted at all! Have you ever been in a situation where you felt betrayed because you had to pay more than you committed initially? Many vendors trick their customers by the use of hidden charges. Student Works junk removal is strongly against such practices. Our prices are clear, consistent, and you pay exactly what you agree to, without the threat of hidden charges or psychological pricing. 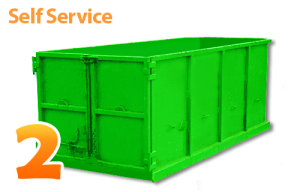 In case you are on a tight budget and don’t want to spend a lot on full service trash removal, you have the option of renting a dumpster bin and doing your own junk removal. These bin rentals are more affordable and make the whole process easier for you, thanks to the different sizes of bins available. You can get in touch with a reliable junk removal company in Vancouver, such as Student Works Disposal, and get a bin rented right away! Imagine a tiring day of trash removal in Vancouver. Wouldn’t you hate to clean up after the crew leaves? Fortunately, companies like Student Works Disposal have highly trained crew members that clean up after they are done, leaving behind absolutely no hassle for you. Need a Reliable Junk Removal Company in Vancouver? 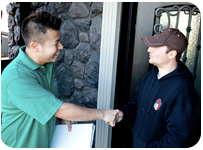 Student Works Disposal is located in Vancouver, BC and operates throughout the lower mainland. To find out more on how Student Works Disposal can help you dispose your junk, call us today at 778-288-8009! Johnson Phan is the owner and operator of Student Works Disposal. 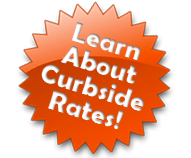 His blog is designed to share his knowledge of the bin rental and waste removal industry. SW Disposal and their students share a unique passion for recycling and are not afraid of getting a little dirty!